T-shirt "Tailor" 100% cotton bio. 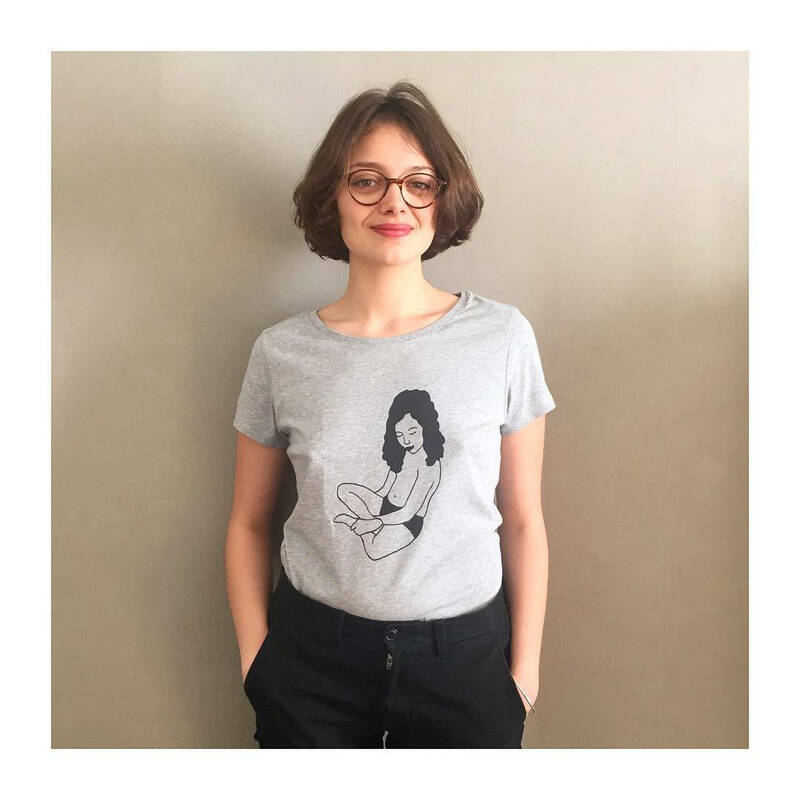 These shirts are soft and I'm a fan of their glasses, a little loose, making them also guns tucked into that simple high waisted trousers worn with jeans. They are available from XS to XL. Level size t-shirts are well cut close to the body. The model that I am wearing in the photos is a M, however I usually wear s.
I highly recommend to size up! 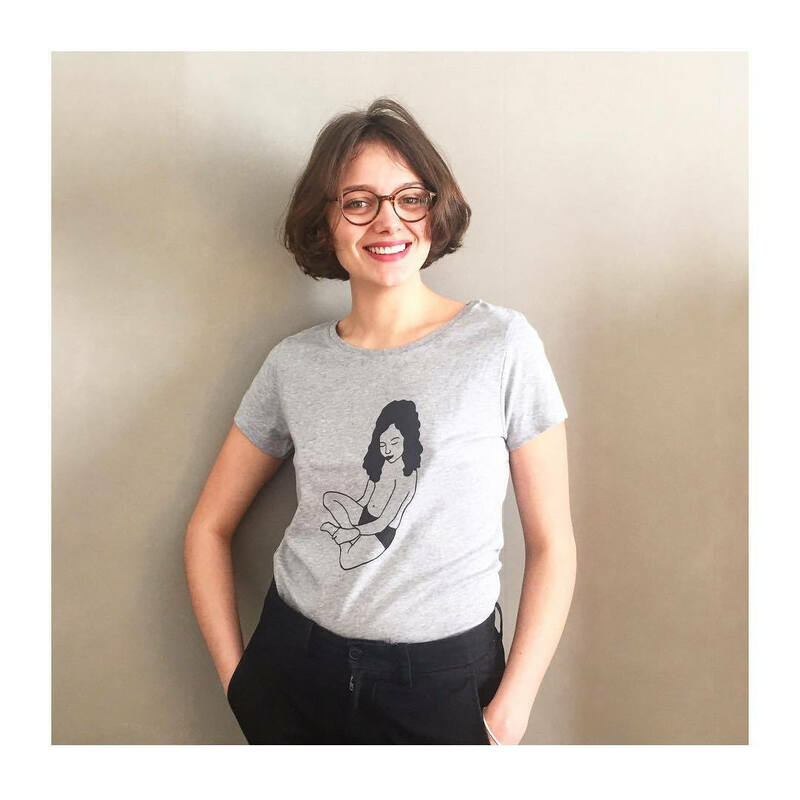 I am happy to work with a supplier who like me: these shirts are produced in collaboration with a young company who works with workshops authentic know-how. The fabric is produced and sewn in Bangladesh, in a respectful circuit of the chain of fair trade and guaranteed eco-friendly, and prints are made in France, Orleans. My inventory is quite thin, perhaps to two weeks delivery time.